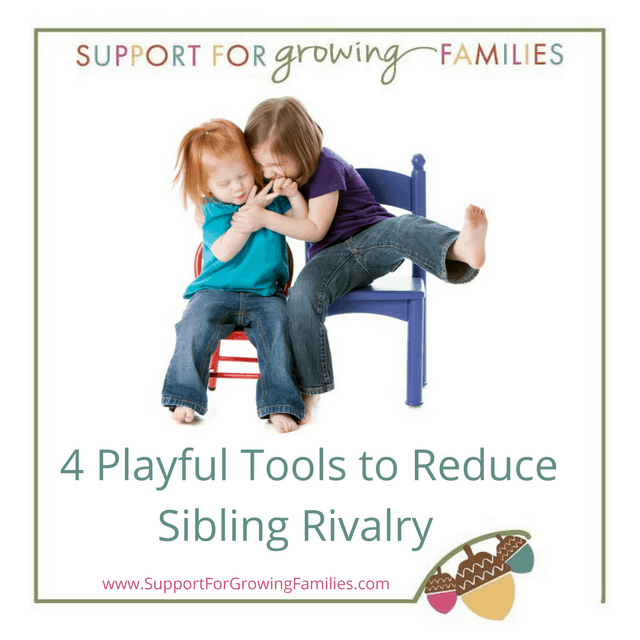 If your family is stressed by sibling rivalry, there is hope! Games which bring siblings together as a team to defeat their parents (all in good fun) are good for sibling relationships! You play the role of the less smart and capable, less powerful one, the one the kids can laugh at together and team up against. Perhaps you’ve already found some of your own versions of these games. The key to these games is to watch and respond to the responses of your children. If they are laughing and giggling, you are on the right track. If they freeze, or shriek, you will need to tone things down some. As adults, we sometimes get carried away and make the game overwhelming without meaning to. 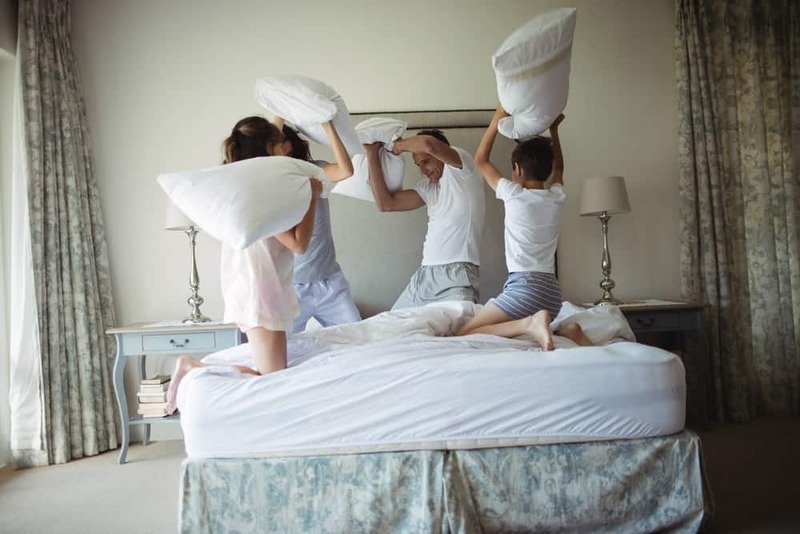 Pillow fights (with a rule to hit below the shoulders only) can be great. They can pummel you with blows while you pretend to be shocked at their strength, tell them you are going to get them. You can swing and miss, if that makes them laugh, or hit them occasionally if they need that to keep the game interesting. If you wrestle with your children, try taking them on as a team against you. If you are likely to find this overwhelming, be sure to set time limits and clarify rules about what’s allowed and what isn’t. Try looking for them but not being able to find them…sitting on the couch or the bed where they are and wondering out loud what the lumps are usually gets children laughing right away. Using the listening tool “Special Time” will solidify and deepen your child’s secure sense of connection with you. It involves setting aside a chunk of time to give your full attention to your child, following their lead and doing the activities which they choose to do. It’s a time to turn off your phone, leave the dishes in the sink and enjoy your child fully. It might feel hard to tell your child that this is what you are doing, but by telling them ahead of time, you really let them take charge of the activity. You can even set a timer to protect the time you have set aside. Finding some time each week to do this individually with each of your children will deepen their reservoir of confidence in their connection with you and help them to be more relaxed with each other. This is wonderful anytime, but particularly helpful when a new sibling arrives or when children are struggling regularly with sibling conflict and sibling rivalry. If you would like to learn more about supporting positive sibling relationships, or would like guidance and coaching for using these strategies, check out my Hand in Hand Parenting Classes and Consultations. I would love to support your family in using these tools. A version of this blog post was originally published in the Crazy Wisdom Journal on June 4, 2014.